Thames & Hudson are renowned for their excellent series of Egyptology titles for a wide general readership. 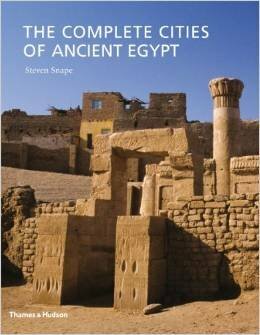 This latest well-illustrated volume by Steven Snape is a welcome addition – focussing not on pharaohs, tombs and temples, but on the ordinary ancient Egyptians and the urban settlements in which they lived. As most domestic buildings were made from more ephemeral materials (with stone reserved for important religious and funerary monuments) a survey of ancient towns and cities can never be as ‘complete’ as the title suggests, and yet with an increasing number of excavation projects now concentrating on ‘settlement archaeology’, we have a wealth of new knowledge about where, why and how urban centres developed and functioned. This new information forms the basis of this comprehensive appraisal of cities and city life in dynastic Egypt. The first three sections explore the concept of the city and the origins of urbanisation in ancient Egypt (with the emergence of important early urban sites such as Naqada and Hierakonpolis), followed by a survey of palace cities, fortified towns (such as Zawiyet Umm el-Rakham, a Ramesside fortress town near the Mediterranean coast, one of the author’s own research projects), the relationship between the temple and its surrounding settlement, styles of town and country house, city administration including the supply of food, water and sanitation, and aspects of city life including crime and punishment, leisure, tourism (graffiti show that Eighteenth Dynasty Egyptians were as impressed by their ancient Old Kingdom monuments as we are today) and provision for the dead. A separate section is dedicated to Graeco-Roman Egypt (discussing continuity and change in urban development during the Classical period) while part five offers a comprehensive gazetteer of towns and cities from Elephantine and Aswan to the Delta and Northern Sinai. 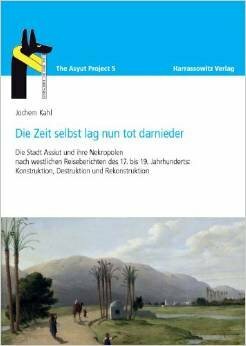 An epilogue highlights how even the largest and most important cities can disappear (such as Memphis and Amarna), but a raft of new sophisticated survey techniques is gradually rediscovering lost cities such as Avaris and Pr-Ramesses [Piramesse] and bringing new settlements to light, revolutionising our understanding of city life in ancient Egypt. Some time around 1300 BC a cargo ship sank at Uluburun, off the coast of Turkey. On board was a huge range of goods from at least seven different countries, including a stone mace from the Balkans, tin from Afghanistan and a gold scarab inscribed with the name of Nefertiti. This shipment demonstrates that far from being a collection of isolated kingdoms, the Late Bronze Age Mediterranean belonged to “an interconnected world of trade, migration, diplomacy ... the first truly global age”. But just over a hundred years later, this thriving civilisation suddenly collapsed, plunging the region into the world’s first Dark Age. The year 1177 BC, according to Eric Cline, marks a turning point for the ancient world – the eighth year in the reign of Rameses III, a year of great land and sea battles as a huge mass of marauding ‘Sea Peoples’ (a coalition of peoples from many different areas), swept through the region wreaking havoc. Egypt survived but became a mere shadow of her former glory. 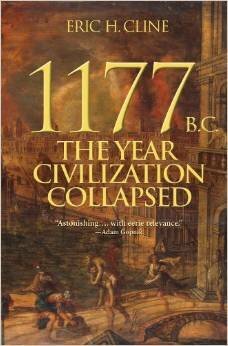 But to what extent were the Sea Peoples to blame for this catastrophic decline? Were they “as much victims as they were the aggressors”? To put this momentous year into context, Cline goes back to 1477 BC Egypt and Thutmose III’s new palace at Peru-nefer (Avaris) decorated with Minoan style frescoes – evidence of the extent of international contact, trade and influence around the Mediterranean during this period. He explores the interconnected and interdependent relationships of the major powers – the Minoans, Egyptians, Mitannians, Hittites, Assyrians, Babylonians, Canaanites and Myceneans, and the massive destructions across the region from Pylos (Greece) to Ugarit (Syria) and Hattusa (Anatolia) to Lachish (Israel), before investigating possible causes for this sudden collapse, both man-made and natural, concluding that a complex series of events led to the rapid collapse, with a loss of interconnectedness and globalisation, hastened by the very interdependency that had caused these civilisations to flourish. With today’s global economy similarly wracked by economic crisis, internal rebellions, earthquakes and waves of refugees, there may well be lessons to learn from the events of more than three thousand years ago. This is a comprehensive study, based on the latest academic research, with detailed notes and a comprehensive bibliography (and a useful dramatis personae which comes in handy if you tend to confuse Ammurapi with Assuruballit or Shattiwaza with Shuttarna), but written as a gripping mystery story with clues to follow and evidence to analyse – which should appeal to readers of all levels. This magnificently-produced and illustrated book contains the first publication of a major work by Frédéric Cailliaud, who was a significant figure in Egyptology in the early nineteenth century. Readers may remember an article published in AE66 (June/July 2011) in which Andrew Bednarski described the intention of the American Research Center in Egypt (ARCE) to translate and publish a collection of Cailliaud’s papers in the possession of Dr. W. Benson Harer Jr. (himself a contributor to this magazine). The present volume is the culmination of that project. After brief articles from Dr. Harer, Gerry D. Scott III, Director of ARCE, and Pierre Watelet, Director of the Muséum d’histoire naturelle de Nantes (Cailliaud’s birthplace), which set the work in context, Philippe Mainterot, Enseignant-chercheur at the Université de Poitiers, contributes a chapter entitled “The Life, Travels, and Works of Frédéric Cailliaud”. Cailliaud made two expeditions to Egypt between 1815 and 1822, journeys that took him to the Western and Eastern Deserts and Sudan, as well as to the Nile Valley itself. Andrew Bednarski, an Egyptologist and assistant to the director of ARCE for special projects, then gives an overview of the Harer papers. Translations by Bednarski of Cailliaud’s text are arranged by chapters including: “Hunting”; “Fishing”; “Herdsmen and Animals”; “Agriculture, Flax, Irrigation, Vines, Gardening, Trees”; “On the Extraction of Essences and Other Liquids”; “On Games”; “Transport of Statues”; “The Potter’s Art”; “Manufacture and Use of Unfired Bricks”; “Tanners, Leatherworkers”; “Clothing”; “The Art of Preparing Hair”; and “On the Embalmment of the Ancient Egyptians”. Cailliaud’s depictions of tomb and temple scenes are then compared by Bednarski and Scott with those of other contemporary and earlier travellers, and Cailliaud’s beautiful watercolours are reproduced in 66 colour plates. The scenes depicted are identified in a useful appendix by Mainterot. 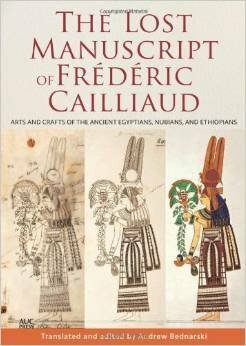 This book gives its readers a unique opportunity to view Cailliaud’s masterpieces, and is a worthy tribute to a great Egyptologist of the past. Snapshots in Time: The city of Asyut and its necropolis according to travel reports from the 17th-19th centuries: construction, destruction and reconstruction is the fifth book in the Asyut Project series. In this volume Jochem Kahl evaluates a series of historic reports, many previously unpublished, written by travellers and travel writers who visited the city before the Twentieth Century. The title suggests the book is written in German but it is actually a multilingual work, with an Arabic version reading from the back and the thoughts and observations of the travellers and writers featured presented in the languages in which they were originally written (English, Dutch, French, German). These travellers include Leo Africanus (1516), Karl May (1899), Dominique Vivant Denon (1798), John Gardiner Wilkinson (1842), Lucie Duff Gordon (1862) and Karl Baedeker (1892). Some came to Egypt out of curiosity, to escape the European winters or on religious pilgrimage, while groups of savants and military men were sent by their European rulers in search of knowledge and antiquities (Napoleon was not the first to do this!). These ‘snapshots in time’ are subjective individual impressions from a Western point of view, often reflecting colonial attitudes and very much of their time. However, as so many monuments and grave sites have been damaged or destroyed since, these eyewitness accounts are vital to our understanding of Asyut’s history; in some cases all we have left. The accounts have been arranged into chapters covering topics such as “the effect of the city on the western traveller”, “temples”, “trade and economics” and “looting, the antiquities trade and vandalism”; this last chapter covers the depressing situation in 1886 when a power vacuum led to chaos and anarchy; the author discusses the unhappy paradox of increased freedoms leading to unprecedented levels of looting, followed by a dictatorship that brought better protection for the antiquities but at the expense of personal liberty, a situation painfully relevant today. The German and Arabic sections are separated by a shared section of black-and-white and colour plates including drawings by Robert Hay, photographs from the Griffith Institute and Petrie Museum, and photographs of the area today, together with an appendix of biographies and primary source excerpts, backed up by a detailed bibliography. The multi-lingual text may be a difficult read for some (although online translators can be very helpful! ), but it is worth the effort as Kahl presents not only a vivid picture of the city of Asyut and its archaeology during this period, but also a glimpse into the mind-set of these early visitors, and a unique vision of Egypt as seen through their eyes. The ancient Egyptians used mathematics extensively. For example, the vast bureaucracy that dominated their lives counted everything produced in the fields in order to calculate how much was due to the state, and some sophisticated calculations were necessary to work out the area of a field with irregular dimensions or the volume of stone necessary to build a pyramid. However, it would not be safe to assume that Egyptian mathematics formed the basis of our own system of arithmetic. 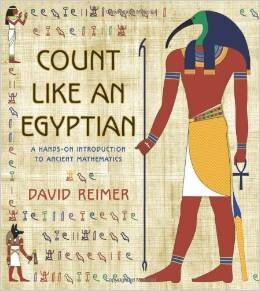 The author of this well-illustrated book, an Associate Professor of Mathematics at The College of New Jersey, has made an in-depth study of the ancient Egyptian’s methods as part of his work on the history of ‘math’ (as he puts it). He begins by demonstrating the fundamental differences between Egyptian and modern mathematics: for example, their way of multiplying and dividing numbers by addition, a method that removes the need for learning multiplication tables by rote (and is therefore superior to ours in many respects), and their way of handling fractions, which has much in common with our decimal system. Although the concepts he describes could be difficult to grasp at first, his explanations are always clear and easy to follow. He uses as his examples situations drawn from the everyday lives of the Egyptians, and necessarily therefore includes in the work a great deal of information that might be unfamiliar to a student of mathematics who knows very little about the ancient civilisation. He also proves that the Egyptian system can have practical advantages over modern methods in such situations. He goes on to demonstrate the ancient ways of solving more complex problems, such as calculating areas and volumes and relates his work to the evidence in the various mathematical papyri. The book is intended to be used as a teaching tool and includes practice examples for the student. It would be difficult to imagine a work that more effectively covers this aspect of the ancient civilisation. To win a copy of this book, enter this month’s competition on page 64. When we look at the mysterious ancient Egyptian mummies, we seldom give thought to the bandages on the outside. But to Christina Riggs, “wrapping mattered”; the linen enclosing dead bodies and statues was more than just material – it was as important as what was wrapped within. Wrapping transformed the object it covered, but at the same time was itself transformed, and even if removed it retained its connection to the object it once covered. 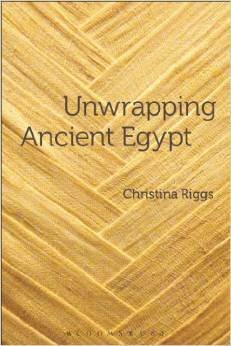 In this book, Riggs sets out to explore the significance of textile wrappings to the ancient Egyptians, but at the same time investigates how the unwrapping of ancient Egyptian relics has shaped our view of Egyptian history. 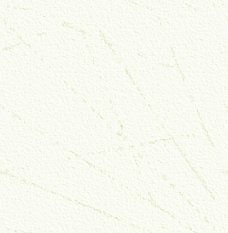 She draws upon evidence from intact wrappings, museum records of linen used in mummification, depictions of wrapped individuals or objects and the religious/ritual practices associated with them, and accounts of mummy unwrappings and dissections from the late Eighteenth and early Nineteenth Centuries. The quality and quantity of cloth and careful draping over the statues (such as those found in Tutankhamun’s tomb) suggest important symbolic significance: protection but also concealment, a barrier to the external world but also protection for what was outside from what was inside. The linen itself had magical and healing/regenerative properties. A wrapped body became sanctified, divine and the secretive ritual wrapping process reflected the hidden nature of the divine. The priests who carried out the wrapping were known as the ‘masters of secrets’ representing an elite with access to restricted knowledge, and according to Riggs it was this secrecy that created and controlled social hierarchies. Conversely the act of unwrapping was revelatory: the sanctified was transformed into the secular; it also reflected the Western world’s colonial perception of itself as all-knowing and superior, an ethos that still influences how Egypt is depicted and displayed today. This is a work of passion, poetically written and convincingly argued, which highlights the crucial role played by textiles, wrapping and concealment in the structuring of ancient Egyptian society.